Technology advances have made it possible for you to monitor your security system with your smartphone or tablet. 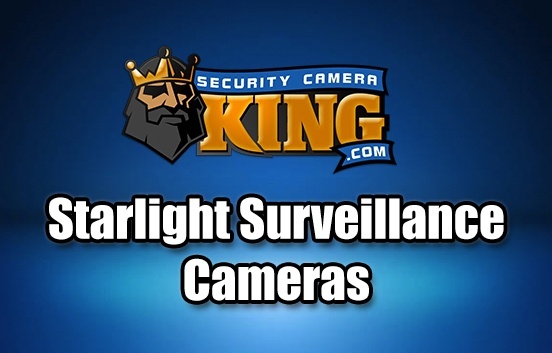 The software combines with an iOS device and makes it the first mobile camera security system available in the world. This is a convenient way to keep an eye on your home while you are out of the country or on vacation. The system uses the latest technology to allow images to be viewed from most computer browsers or live video streams from a smartphone. 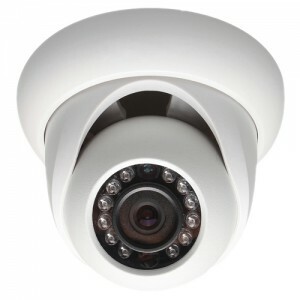 The first step in developing a good home security system is to determine how you want to view the images. If you want your system monitored by a professional security provider, you should make sure they have good response times. It is critical that the company can provide fast response times in the event your home is burglarized. Some systems can be hooked up directly to your local law enforcement office. Find out about your choices in your community. Choose a security provider that leases security equipment. This way, you won’t have to pay for upfront equipment costs. Most security companies will charge you for installation. Try to find a security company that offers special deals for new customers. Installing a security system in your home will help protect your valuables and your family. 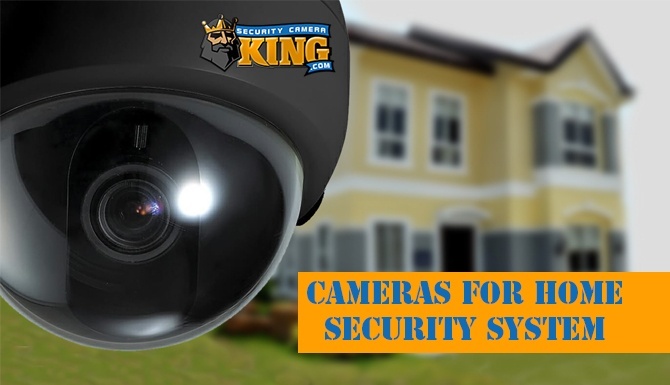 You should contact a home security company to determine which security camera system is best for your home. A home security company can answer all your questions about installation and operating your system. Home security systems have advanced with technology and offer wireless systems. This means you no longer have to install wires throughout the walls of your home in order to have a security system installed. A security system will alert you if someone tries to open your doors while you are at home. If you want your security system professionally monitored, then you will have to use an alarm system company. These companies offer monitoring services at a low monthly price. No matter what kind of alarm system you need, you should be able to rent the equipment through the monitoring company. When the time comes for you to move, you simply return the equipment back to the monitoring company. This is the most economical way to install an alarm system. If you prefer to own your equipment, you can buy alarm systems online or at your local home security store. The majority of home intrusions happen during the daytime. This is when burglars expect no one to be at home. They may case the neighborhood days before they pick their target. Potential burglars often knock on doors to see who is at home during the day. This is why many cities have adopted laws regarding solicitation. In many communities across the nation, it is against the law for solicitors to knock on doors. It just depends the laws in your community. Home security also includes other areas of your home besides an intrusion alarm. You should make sure you have good locks on your doors and windows. You can buy sensors that are installed on your doors and windows that will alert you when they are triggered. If you decide not to hire a security company, then you will be responsible for monitoring your home. This can be difficult to do, especially if you are at work all day. You can set up security systems that use smartphone technology to text or call you if the system detects a problem. This is a convenient way to monitor your home from anywhere in the country. If you choose a security system with the capability to monitor it from your smartphone, then you can program the system to call or text you. You can set the system up to call several numbers in case you don’t answer. The cameras installed in your home use sensors that detect motion. When the camera senses motion, the security system will send you a message according to your preferences. If you have recently moved into your home, you should change the locks. Many new homeowners forget that previous tenants had the same keys. You never know how many people the old homeowners gave keys. To be safe, you should change all the locks in the home. This includes the garage door opener. Find out how to change the code on your garage door opener. Some garage openers use a technology that changes the code every time you open or close the garage. To be sure, research the manufacturer of your garage door. Garage doors can accidentally open up on their own. Especially if you have a sensitive garage door opener. There are many times that homeowners have been burglaried just because the garage door was wide open. Don’t give your alarm code or house keys to anyone. This includes cleaning and repair services. Make sure someone is at home to open the door for servicemen. It is simply not worth the risk. If you lose your house keys, change all the locks. The locks on the doors and windows should be secure. You can hire a locksmith to install high-quality locks and deadbolts. Intruders often enter your home through the windows or doors. Another common area is the garage door that leads into your home from the garage. Secure all doors that lead into your home with deadbolts. The doors should be made of quality wood materials that will make it difficult for a burglar to force their way inside. Make sure the landscaping around your home does not obstruct views. Intruders often use thick landscaping to hide undetected. If there are large tree branches hanging close to your home, you should hire someone to prune them. You must look at your home the same way a burglar does. Walk through your home looking for areas that might make it easy for a thief to break inside your home. Keep big screen televisions and expensive electronics out of sight in front of windows. People who pass by your home can look inside and see what you own. When you do purchase an expensive electronic, don’t throw the box out by the curb. This will be an invitation to a potential thief that you have something that makes it worth breaking into your home. Electronics and jewelry are the number one items thieves are looking for when they enter your home. When you move into a new area, list your name with your first initial and last name only. This will prevent someone from identifying your gender. Never let anyone in your home to use the phone. Take down the information and offer to make the call for them. You can speak through the door without opening it. Install a peek hole in your front door. You can also install an intercom system to speak to people at the door. If you don’t recognize someone at the door, you should at least speak to them. This way, they don’t think your home is empty and you could become a victim of violence. Most burglars break into homes that are not occupied. Violence can occur if you surprise a burglar. Always speak to anyone who comes to the door through the door. They can hear you and you won’t put yourself in danger. If you have an alarm system, don’t fail to turn it on. Many people simply forget to arm their security system when they are at home. It is just as important to arm your system when you are at home as it is when you are not home. Sliding glass doors with hinges on the outside make it easy for a burglar to remove the door. Install locking devices made especially for sliding glass doors. You can find them at most home improvement stores. 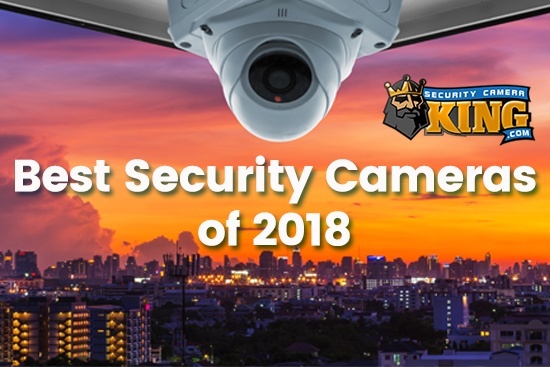 While you are there, look at the latest security devices on the market. You will be surprised at how much technology has improved home security devices. Don’t hide your valuables in common places such as under the mattress, in a bedroom drawer or a jewelry box. Use your jewelry box for costume jewelry instead. Buy a safe that is heavy enough that it can’t be moved. There is no use buying a small safe if it can be carried out your door by a thief. Some law enforcement agencies offer an encoding service for community residents. The encoding service will mark your valuable electronics with a special code. If the burglar tries to sell your items at a pawn shop, then it can be traced back to you. Pawn shops must report to the local law enforcement agency items that are sold daily. Ask your law enforcement agency if they offer security audits in your neighborhood. This is a great way to have your home inspected for security problems. You should also find out about possible theft problems in your area. This can help you become aware of your surroundings in your neighborhood. If you don’t have a neighborhood crime watch program, you can start one on your own. Knock on your neighbor’s doors and get to know them. This is a great way to ensure your neighborhood stays safe. Many thieves are looking for copper as well as expensive electronics. If your air conditioning system has copper wires that are visible, consider calling your contractor to hide the wires. There is also copper wiring inside some plumbing fixtures. Thieves sell the copper and make a good profit. You will be left with a system that no longer works. The repair costs will be expensive. Keep your garage cleaned out so you can park your cars in the garage. This will make it harder for thieves to figure out your schedule. This is one way thieves pick their target. They look for people that make it easy for them to predict their schedule. You should also light up the outside of your home at nighttime. You can install low-cost solar lights that will improve the look of your home as well as give you more protection. Motion detecting lights are also a good choice. These lights won’t come on unless they detect motion. Don’t leave your garage door opener inside your vehicle if you park on the street. This is a great way for a burglar to gain access into your home. Home burglaries usually are not chosen at random. Burglars take the time to study the neighborhood and their victim’s homes. Sometimes they will cruise through a neighborhood just looking for a garage door to be open. If you leave your garage door open, a burglar can jump in and steal your expensive sports equipment. You can buy surveillance cameras that are fake but look just like the real ones. Some of these models even have LED lights that flash making them believable. Burglars often will avoid homes where there are security cameras located on the outside of the home. There are plenty of other homes for them to choose that don’t have security cameras. Combining a number of security methods can reduce your chance of your home being burglarized. The most common time of day for household theft is during the day when people are at work. The summer season brings more burglaries because it is the vacation season when people are away from home. When you do go on vacation, make sure your home does not look like no one is at home. Cancel newspaper delivery services and hold your mail. This is the number one clue that you are on vacation. You can also install timers for your lights to come on and off at various times of the day. Remember, most thieves watch the homes they target for a few days. If you use timers, then your absence won’t be as noticeable. Following these home security tips can reduce your chances of becoming a victim of crime. No system is completely fool-proof but you should try to reduce your risks.